The Laysan Duck resided in the Hawaiian archipelago but in the past two hundred years has found its range greatly diminished. At the current time the Laysan Duck can only be found on the 900-acre Laysan Island that is under the protection of the US Fish and Wildlife Service. 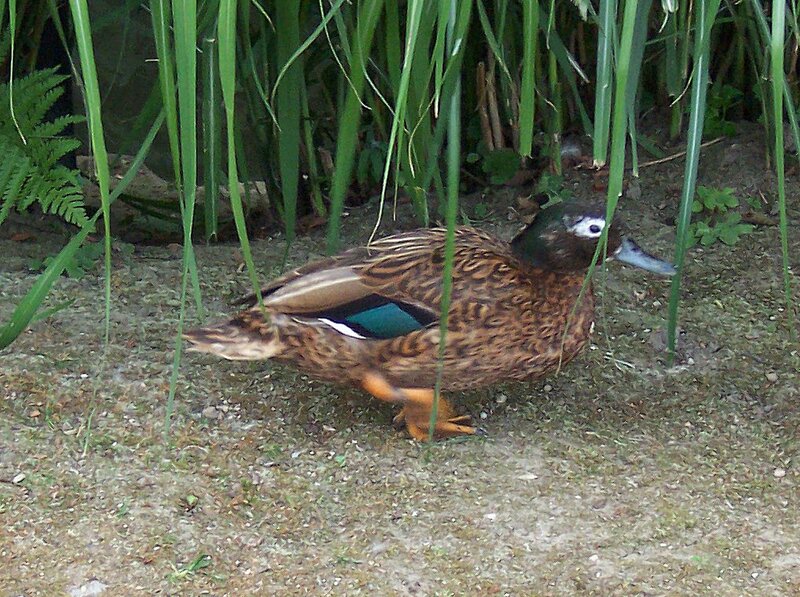 Grouped among the Dabbling ducks such as the Mallard, the Laysan Duck prefers land habitats to aquatic and aerial habitats. Studies of DNA in duck bones throughout the Hawaiian Islands have shown that the Laysan Duck’s range once included the entire Hawaiian Archipelago before the mass extinctions that occurred in that region after Polynesian colonization between 400 and 600 AD. Average weights for this long-lived duck vary with its age. An individual at age 14 can weigh 98.1 grams while an individual at age 45 can weigh 402.0 grams. There is little difference between the plumages of males and females. Both are dull, dark brown with distinctive white eye rings and white feathering on head and neck. The main difference lies with bill coloring: the male bill is yellowish green with black spotting, while the female bill is dull orange. The Laysan Duck has strong wings that allow it quick take offs but not prolonged flight. The Laysan Duck spends most of its time on its legs dabbling into the water and on land for food.